Reed — the former Millington High football player who was left a quadriplegic as a result of an injury suffered in a 1997 game — is the subject of a new documentary entitled “The View Within Mario Reed” which will be premier Tuesday at 7 p.m. at Malco Studio on The Square. It’s a follow-up of sorts from the book Reed co-authored with Perry Burrows in 2013. “When people look at how a person perseveres, it’s not just about that (one) person,” Reed said. “It’s not just myself; it’s my sister, my brother, my mother, friends, coaches … I’ve had a lot of good friends for the last 20 years. “I want to show people what my life is like on a daily basis … John Hamilton, the director, was very patient and professional with me throughout the whole process. We developed a good connection and he laid out every phase for me. 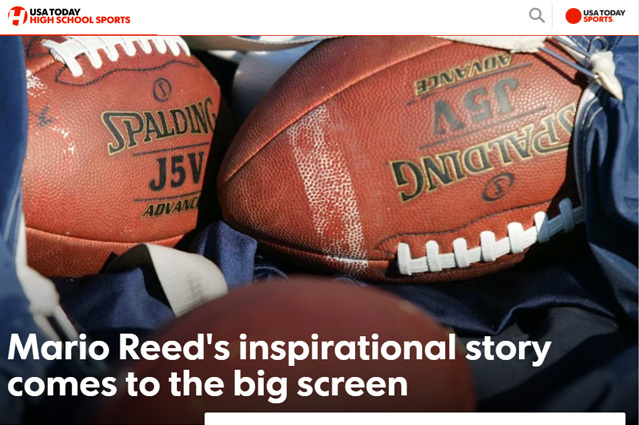 The 90-minute film, which is narrated by longtime friend and AutoZone Liberty Bowl Associate Executive Director Harold Graeter, chronicles Reed’s journey that began on Sept. 12, 1997 when Reed was a 15-year-old sophomore. He was covering a kickoff in a game against Houston and went low to make a tackle when his head collided with a teammate’s thigh. The result was damage to the C5 vertebrae at the base of the neck that will leave Reed using to a wheelchair for the rest of his life.